A classic salad recipe with a Dijon mustard and honey vinaigrette. Simple, fresh and healthy. Vinaigrette: please our mustard, honey and chilli vinaigrette recipe post. 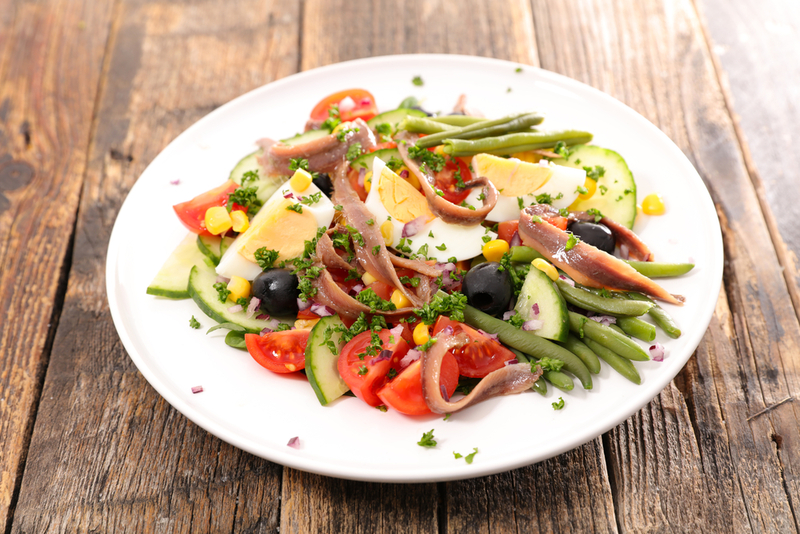 In a salad bowl, place the lettuce, cucumber, tomatoes, beans, sliced shallot, tuna and sweetcorn. Add the vinaigrette and mix thoroughly.